Part Used : Resinous Exudates Of The Root. Habitat : Wild in punjab, kashmir, iran and afghanistan,south east asia and throughout out india. Uses : It has long been used as a food flavoring and medicinal herb. 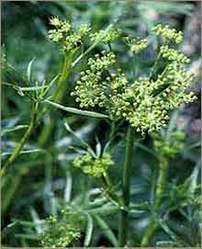 It is used in modern herbalism in the treatment of hysteria, some nervous conditions, bronchitis, asthma and whooping cough. It was at one time employed in the treatment of infantile pneumonia and flatulent colic. The gum resin is antispasmodic, carminative, expectorant, laxative. The volatile oil in the gum is eliminated through the lungs, making this an excellent treatment for asthma. The odor of asafoetida is imparted to the breath, secretions, flatus, and gastric eructations. Its properties are antispasmodic, expectorant, stimulant, emmenagogue and vermifuge. It also thins the blood and lowers blood pressure. Also used for flavoring of pickles and sauces.